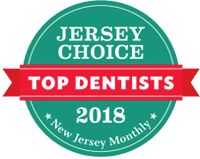 A board-certified Oral & Maxillofacial Surgeon, Dr. Mohammed Erakat, holds doctoral degrees from the Harvard School of Dental Medicine and New Jersey Medical School. In his clinical practice, Dr. Erakat incorporates his background in dentistry, medicine and surgery in order to practice the full-scope of Oral and Maxillofacial Surgery with a particular emphasis on dental implants and the All-On-4™ Solution for New Teeth in a Day™. Born and raised in San Francisco, California, Dr. Erakat completed his undergraduate training at the University of California, San Diego where he obtained his BS in Microbiology in 2001. He then attended Harvard School of Dental Medicine where he obtained his DMD and took an interest in Oral and Maxillofacial Surgery. 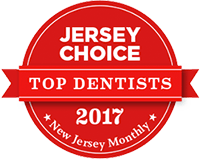 Dr. Erakat then attended the University of Medicine and Dentistry at New Jersey where he completed his Oral and Maxillofacial Surgery residency. During this time he also obtained his Medical Doctorate from the New Jersey Medical School and completed a one year internship in general surgery. During his residency training he also participated in clinical research which has been published in the Journal of Oral and Maxillofacial Surgery and International Journal of Oral and Maxillofacial Implants. Dr. Erakat is a Fellow of the American Association of Oral & Maxillofacial Surgeons, Diplomat of the American Board of Oral & Maxillofacial Surgery, member of the American Dental Association and American Medical Association. He is an attending doctor at Somerset Medical Center in New Jersey where he treats patients with maxillofacial trauma. Dr. Erakat has had the privilege of lecturing at the New Jersey Society of Oral and Maxillofacial Surgery and presenting his research on immediately loaded implants at the national meeting of the American Society of Oral & Maxillofacial Surgeons. In addition to his professional skills and educational background, Dr. Erakat is dedicated to giving back to the community and has participated with non-profit groups such as Healing the Children, where he treated both children and adults abroad, suffering from severe facial deformities.